Yesterday I attended an Exploring the Brontë’s event at the newly opened Halifax Central Library. It’s a wonderful building, and right next to the spectacular Halifax Piece Hall which has just been re-opened to great success. 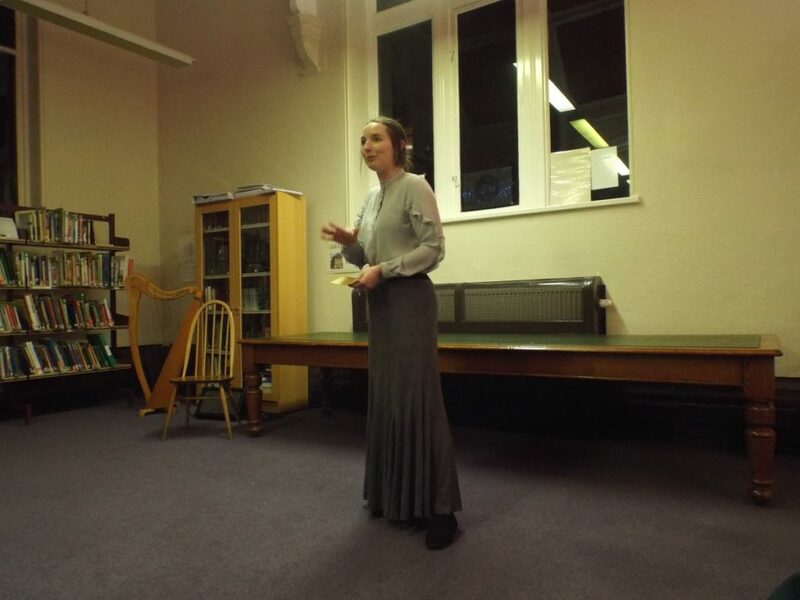 The event featured a talk on the Brontë connections to Calderdale by Simon Zonenblick followed by a monologue by talented actress and writer Caroline Lamb of the Dangerous To Know theatre company (they’re producing a stage version of Charlotte’s ‘Shirley’ next week, and it should be a must see). She played Charlotte’s great friend Mary Taylor during her time as a shop owner in New Zealand, opening a succession of letters that reveal… well, I’ll leave you to find out, as there are further Exploring The Brontë events planned for Gildersome, London, Manchester, and then who knows? If you get the chance to catch one I highly recommend it. I found Caroline’s monologue to be beautifully constructed and acted, and very moving too. At one point she mentions Anne Brontë’s life saving encounter with the Moravian church, and as the church is little known I’ll be looking at it in today’s blog. By the way, Mary Taylor herself was probably also a Moravian – athough she and her sister Martha are buried in the cemetery of the Anglican St. Mary’s church. We know, however, that her family often attended the Moravian church in Gomersal. It still stands and if you want to know what it looks like take a look at the head of this post. 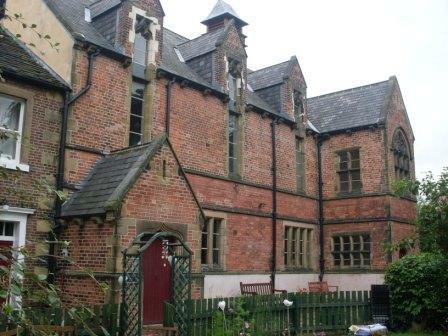 In late 1837 Anne Brontë was a pupil at Roe Head School in Mirfield, where her older sister Charlotte Brontë was at that time a teacher. Things were going well for Anne; she was bright and studious, had made good friends despite her natural shyness, especially Ann Cook who we looked at last week, and had been presented with a certificate for good conduct, but in fact things were going very wrong. As she lay on her bed listening to the wintry wind howl around the hills surrounding Roe Head, seventeen year old Anne was close to death. She had suffered a mental and physical breakdown that would change her life for ever. Charlotte herself was undergoing deep mental torment at this time, as revealed in her vituperative Roe Head journal, and hadn’t noticed the changes taking place in Anne. She had become more withdrawn, was eating less, and by stages becoming weaker and weaker until she became bed ridden and almost unable to talk, to breathe. The physical reason for this was described as ‘gastric fever’, which we would today call typhoid. The patient starts off with a flu like condition, followed by gastric problems and an inability to eat, followed by a fever and delirium. After this comes either recovery or death. This physical malaise was a sign of the mental anguish that had consumed Anne, and she knew that it was this that needed curing if she was to have any chance of surviving. The man that Anne turned to for help would have shocked her family, for when this daughter of a Church of England curate asked to see a priest she asked for James la Trobe, of the Moravian church. 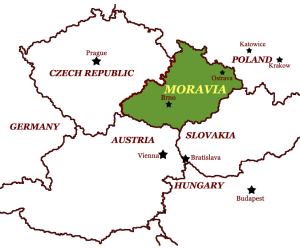 The Moravian church, as the name suggests, had its origins in Moravia, now part of the Czech Republic. After increasing persecution in the church fled to Germany in 1722, and then spread into western Europe. In the early eighteenth century two Church of England preachers were making waves in their own establishment, the Wesleys, and they invited the Moravians, who they saw as kindred evangelical spirits, to England. John Wesley himself then joined a Moravian group, before later striking out on his own path that eventually led to what we know today as Methodism. One particular Moravian stronghold was the West Riding of Yorkshire. They had a church in Mirfield, and another at nearby Gomersal . Anne may have heard about La Trobe, the local Moravian priest, through Charlotte or she may have met him previously at the school, but why did she choose him to hear what could have been her last words? The Church of England was undergoing a schism. The Methodists founded by the Wesleys had recently split from the official church, leaving Calvinists as the dominant faction. This was a very hard line brand of Protestantism, full of damnation and hell fire. They believed that once a person had sinned they were doomed to everlasting torment, except for a predestined few known as ‘the elect’ who would attain paradise whatever their actions were. This world, according to the Calvinists, was destined to be hard and full of pain, rather than one of hope and love. Whilst Patrick Brontë was certainly not of this Calvinist bend, his daughter Anne heard of their teachings constantly, and they began to eat into her peace of mind. She spent sleepless nights thinking of how her soul was surely already doomed, and worrying for the souls of her beloved family too. It may sound strange to many today, but to Anne the eternal torments of hell were very real, she feared that she really would be thrown into a fiery pit that never dies. It was this that began to consume her thoughts by day and night until her mental torment brought on her physical collapse. Anne had found hope, she had found a new form of faith, and her health rallied until she could return home to Haworth. She was now sure of the doctrine, very controversial at the time, of Universal Salvation, whereby every one would eventually find Heaven thanks to a loving and forgiving God. This would be a ray of light in the dark days and years to come to Anne, and it is also at the heart of Helen’s beliefs expressed in The Tenant Of Wildfell Hall. And bring me home at last. In thy strength all things bear. Within a year of writing this hymn her strong faith would be put to the ultimate test as first her brother Branwell, then her beloved twin-like sister Emily died, until finally she had to face her own mortality. Tested by fire, her faith did not let her down.